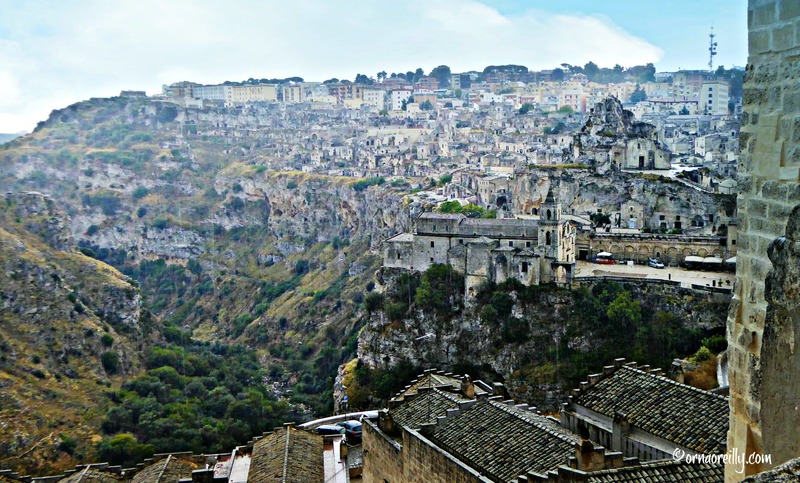 Four hundred metres above sea level, among the rolling hills of Basilicata in southern Italy, lies the haunting city of Matera. It is bisected by a deep ravine through which the River Gravina flows. 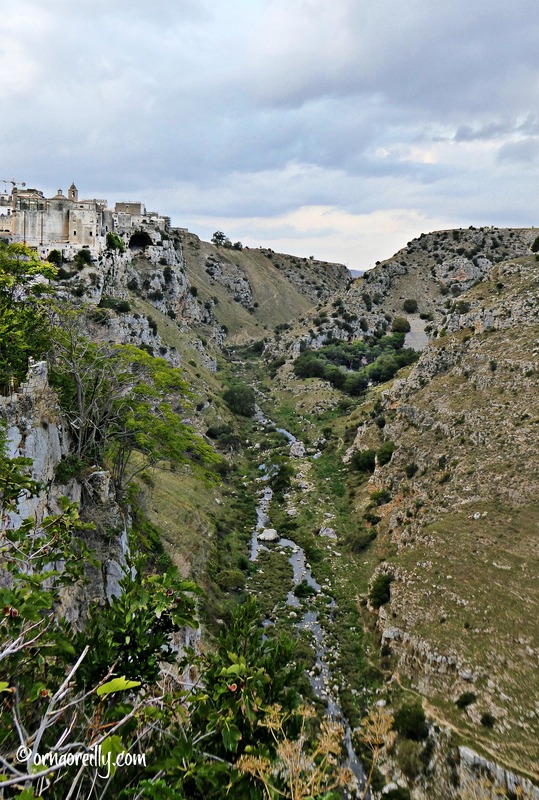 The sides of this deep gorge are studded by ancient cave dwellings known as Sassi, where families lived from Palaeolithic times, right up to the 1950s when the inhabitants were rehoused by the Italian government with the aid of UNESCO. 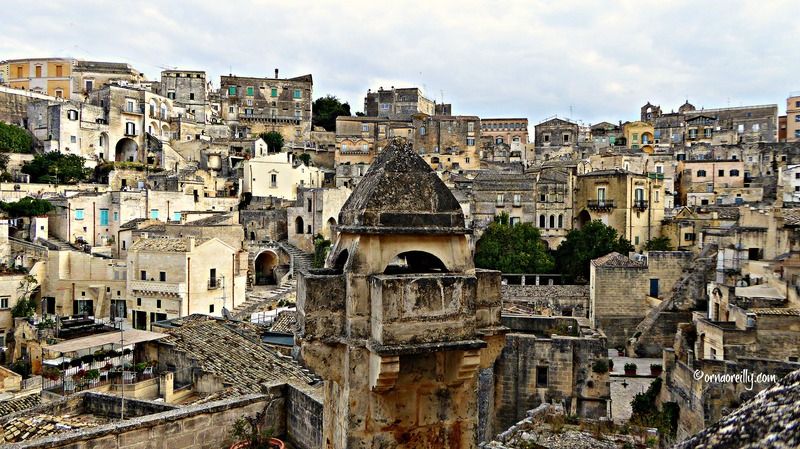 Now, Matera has been awarded the title of European Capital of Culture for 2019, following in the footsteps of such Italian cities as Florence and Bologna. Becoming a European Capital of Culture is highly prized, as it brings that particular city to worldwide attention. It all began back in 1985 when the European Commission began choosing a city to be its Capital of Culture on an annual basis. Whatever city holds that valuable title must undertake to hold activities and events for their visitors during that year. 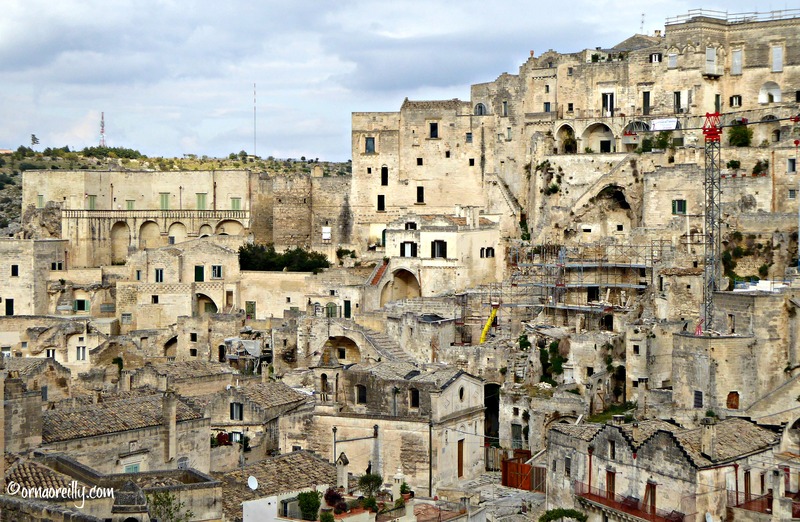 Dating back over 7000 years, the Sassi are said to be the oldest human habitation in Italy. 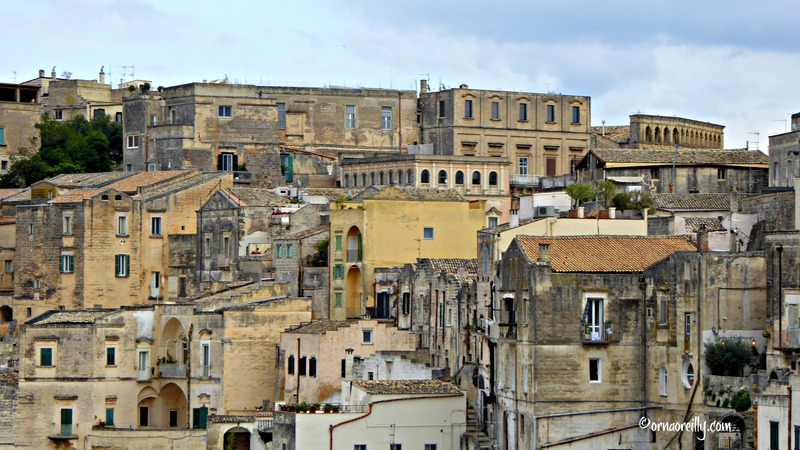 After the inhabitants were rehoused in the 1950s, many of the caves were restored and, since the 1980s, many of them are now used as hotels, restaurants and homes for those original Sassi dwellers who wished to return. 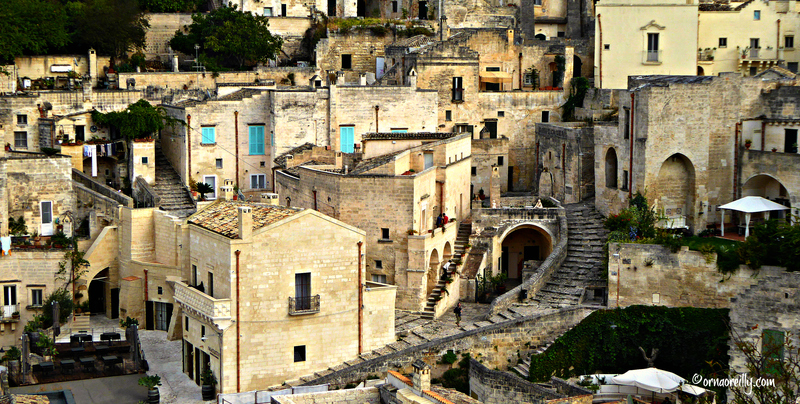 You will hear the word ‘rupestrian’ mentioned often in Matera. This refers to the cave churches and monasteries, of which there are several, and the religious art which accompanies them. Early cave dwellers living in Matera needed to build cisterns to hold water underground and what may be the largest ancient cistern in the world is situated under Piazza Vittorio Veneto, where it collected rainwater which was then piped to the Sassi. The pillars which hold it up were carved from the rock and are more than fifteen metres high. To give you some idea of how huge it is, I am told that it is actually navigable by boat. 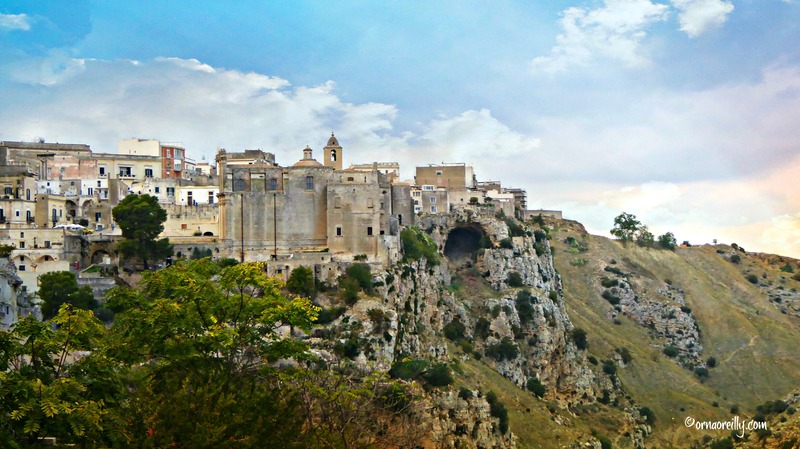 Basilicata is a land so rugged and remote that the famous artist and doctor Carlo Levi was sent to the town of Aliano, just 85km away from Matera, in 1935 to spend a year in exile because of his anti-Fascist views. His remarkable book ‘Christ Stopped in Eboli’ recounts his experiences there living remotely and in great poverty among the locals. If you have not already done so I implore you to read it, as it is one of the great Italian classics which has translated well into English. While in Matera, make sure to visit Palazzo Lanfranchi to see the exhibition of his works, both photographs and paintings. 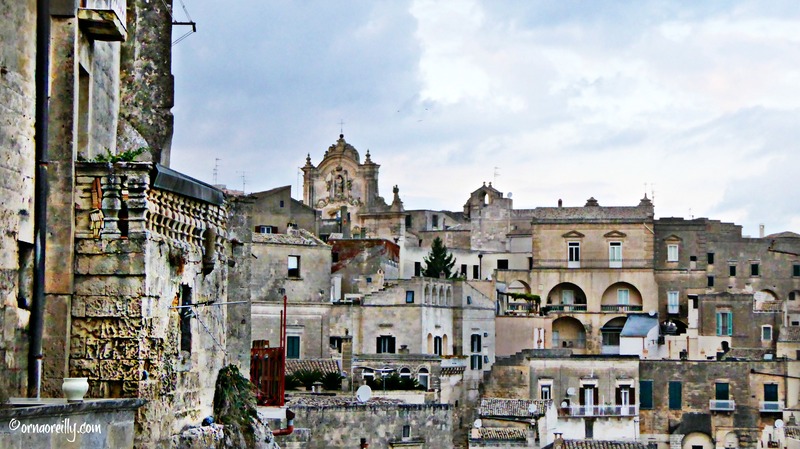 Matera also plays host annually to the Women’s Fiction Festival (WFF). This conference is an opportunity for aspiring writers to pitch their work to agents and publishers and to listen to lectures, both in English and Italian, enlightening them on the difficult process of bringing one’s book to publication. Being Italy, this small city is full of wonderful churches and palazzi. Let’s begin with the Duomo, Matera’s cathedral, with its central rose window. 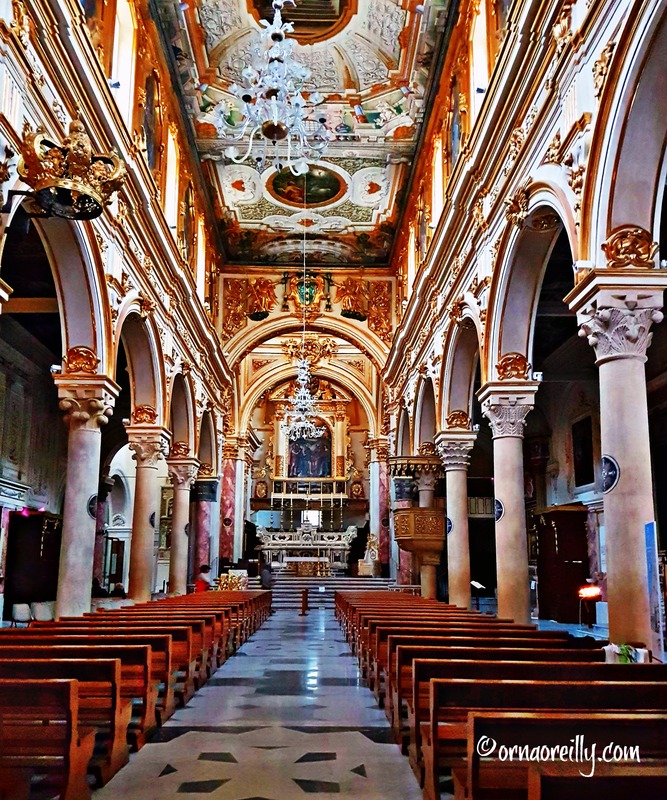 This medieval cathedral was constructed in Apulian Romanesque style in the 13th century and is situated atop the highest point of the city overlooking Sasso Barisano to the north and Sasso Caveoso to the south. 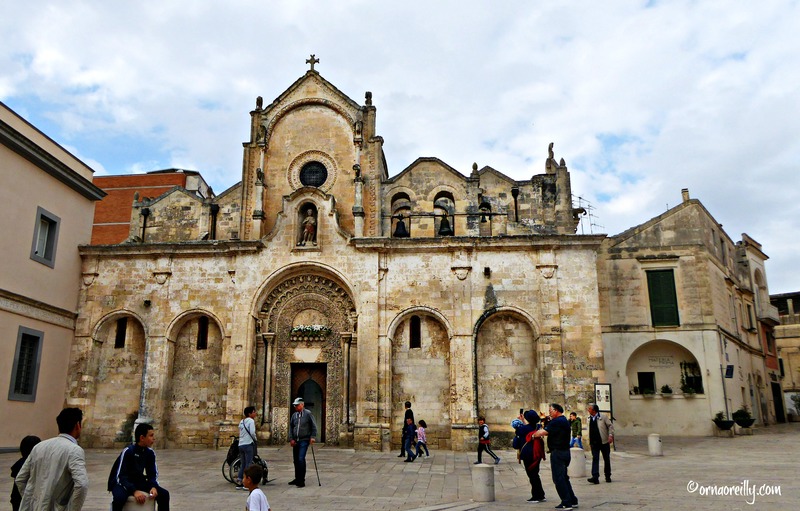 It was completed in 1270 and is dedicated to the patron saints of Matera, Madonna della Bruna and St. Eustace. On entering the cathedral, one finds ten magnificent columns, all different, which retain their original medieval capitals, many frescoes and lots of gold decoration. Apparently, the original ceiling was covered with a false one and, in the nineteenth century, was painted in rich medallions, illustrating local religious themes, by Battista Santoro, while the wall frescoes are by Anselmo Palmieri. The must-see exception is the one remaining medieval fresco, ‘The Last Judgement’, by Rinaldo da Taranto. The lavish, high altar, made of white marble, dominates the scene and is overlooked by a huge painting known as the ‘Cona Grande’ by Fabrizio Santafede. This church is like nothing I have ever seen before. 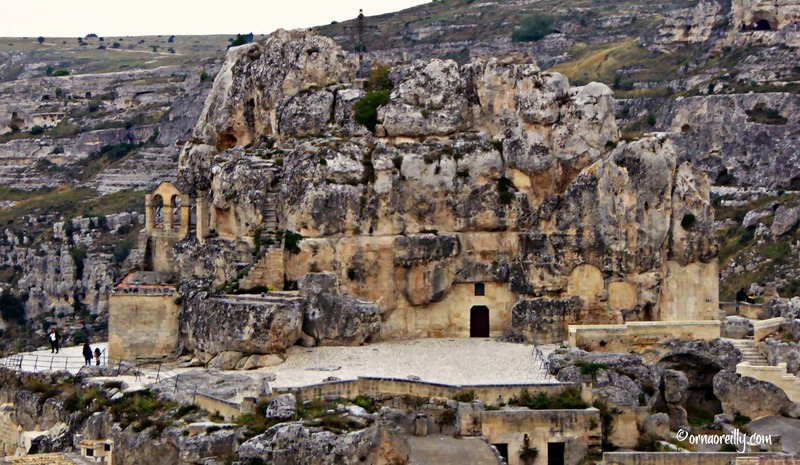 It is set into a large limestone cliff which rises up in the middle of the Sasso Caveoso. The interior has suffered quite a bit of deterioration over the centuries due to humidity and not a lot of the original remains. However, on the altar there is a Madonna and Child which dates from the 17th century and there are various frescoes. The church is connected by a tunnel to the crypt of San Giovanni in Monterrone, where there are several frescoes dated as far back as the twelfth century. This is a most unusually shaped building and is centrally located. 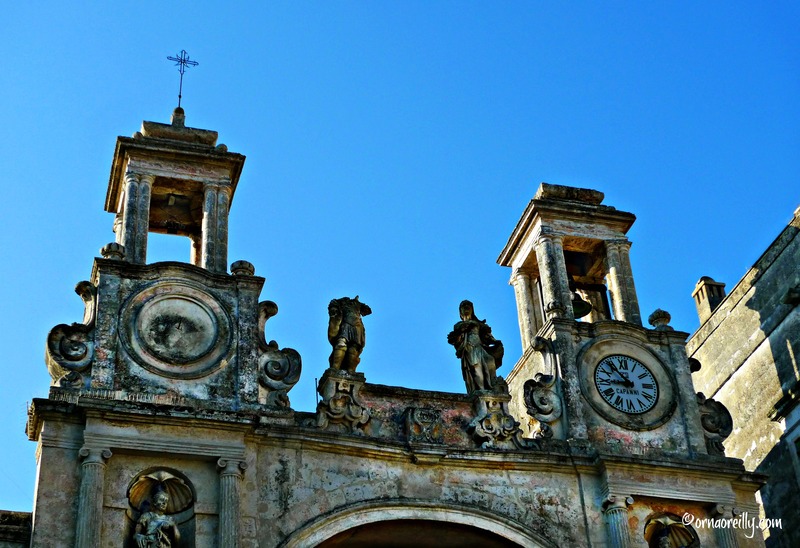 It has a Baroque façade and was built by Giuseppe Fatone in the 18th century with funds donated by the Confraternity for the Poor Souls in Purgatory. Its theme is Death, looked on then as a new beginning and not the end of life. Inside the church there are three altars and paintings depicting the Passion of Christ, while the Castelli organ, dated 1755, and the wooden pulpit, used until the 1970s, are worthy of inspection. Right at the end of Via del Corso stands the Church of Saint Francis of Assisi. 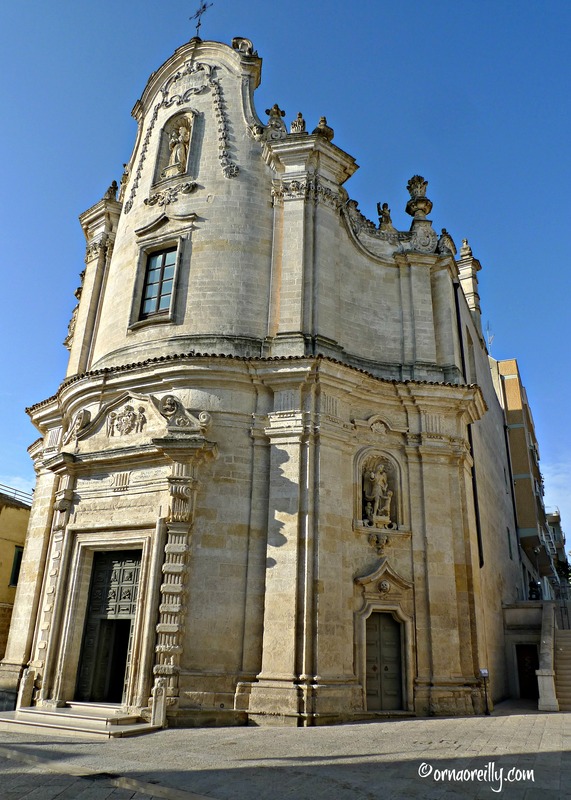 Though the church was originally built in the 13th century, it has a wide Baroque façade which dates from the 18th century and was designed by the architects Vito Valentino and Tommaso Pennetta. Interestingly, the original monastery of Saints Peter and Paul, over which this church was built, still has some visible pieces remaining. Apparently, the church was founded by St. Francis himself under licence from Pope Onofrio III. Worth seeing inside is the nine-panel polyptych by Lazzaro Bastiani, which was taken apart and moved to the chancel balustrade. Also of interest and positioned near the entrance, is a carved, stone holy water font from the 13th century. 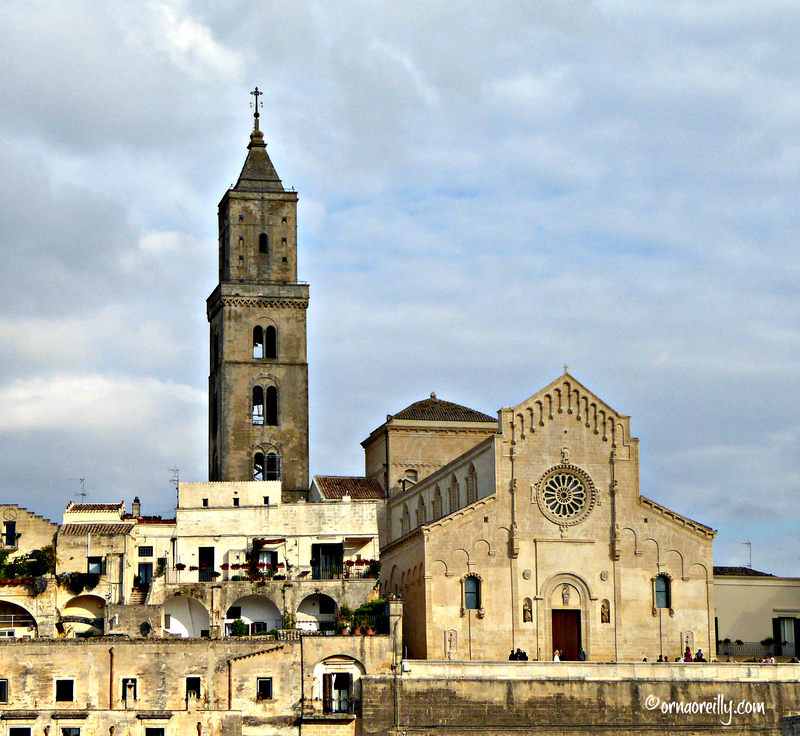 In 1230, this medieval church was the first place of worship to be built outside the walls of Matera. It is built in Romanesque style, with other influences, as it has been changed and renovated several times over the centuries. This palazzo is located in Piazza Vittorio Veneto. 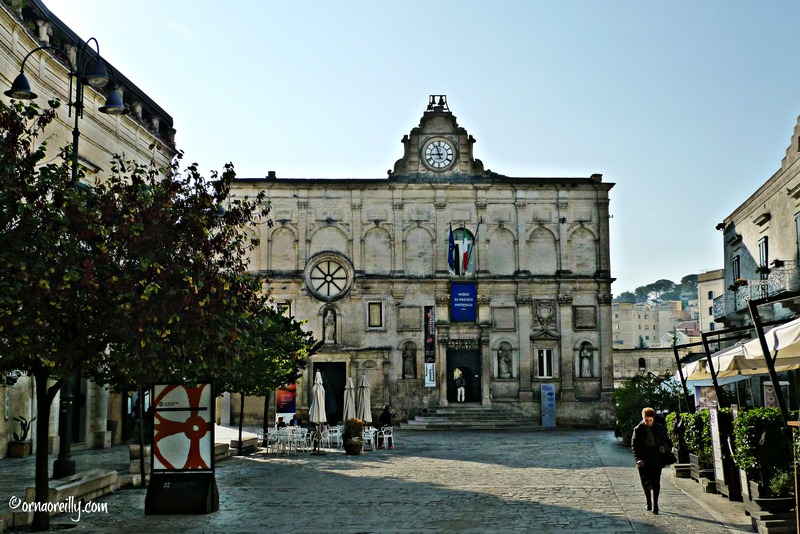 It was built in 1748 by the architect Mauro Manieri di Nardò to house a convent and is now the headquarters of the Provincial Library. This was commissioned as a diocesan seminary by Bishop Vincenzo Lanfranchi. It was designed and built by Friar Francesco da Copertino in 1672. 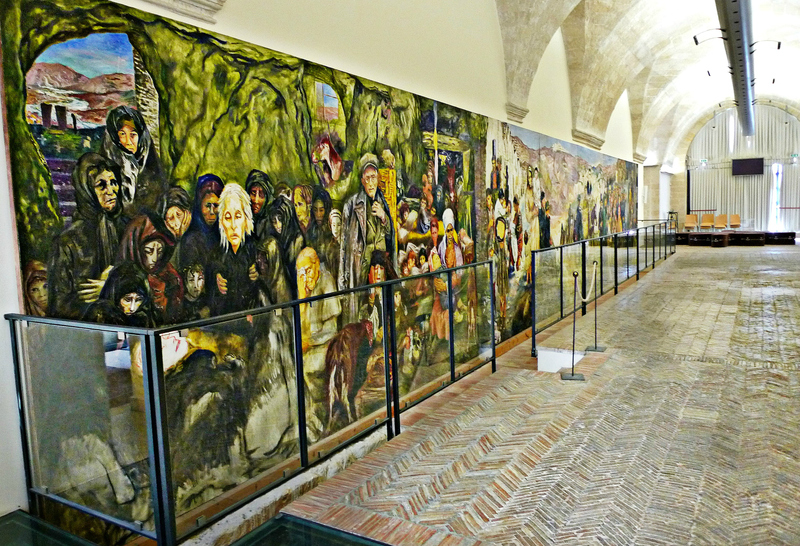 From 1864 it hosted a school dedicated to the teaching of the classics and now houses the National Museum of Medieval and Modern Art of Basilicata, where the works of the famous doctor and artist Carlo Levi are currently housed. 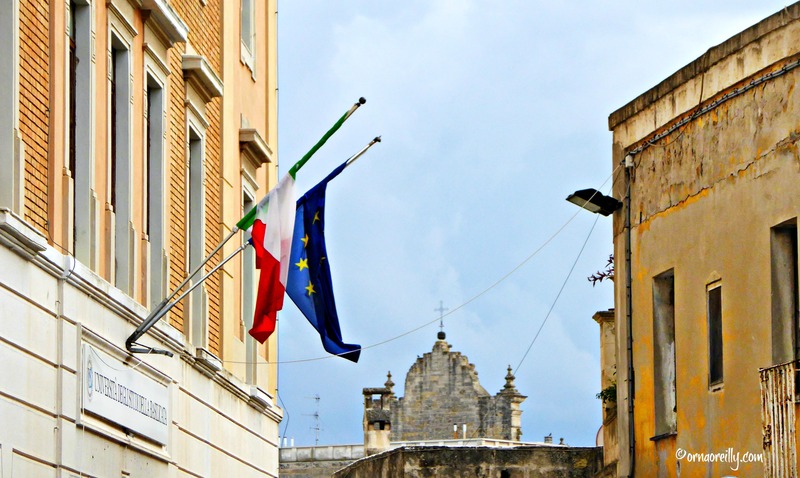 Built in 1540, is situated in Piazza Sedile and is an important building which was expanded and renovated in 1759 and onwards. It has two bell towers, one with a sundial and the other with a clock. 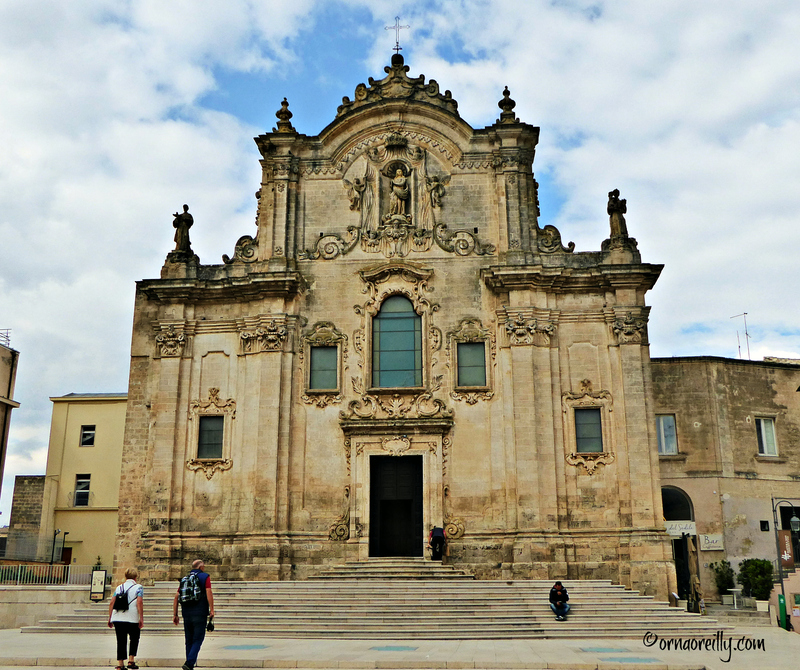 The façade also houses the patron saints of Matera, Saint Eustace and Madonna della Bruna, plus the four cardinal virtues: justice; fortitude; temperance and prudence. 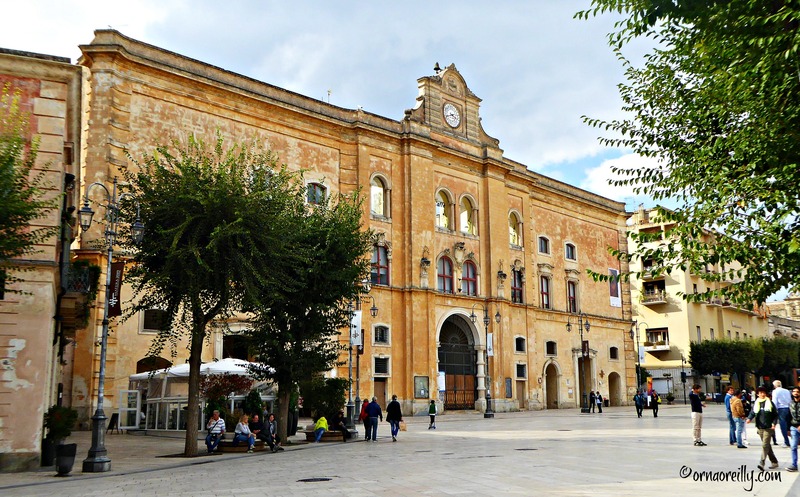 It was originally used for municipal administration and is now home to the Conservatory of Music dedicated to the famous composer Egidio Romualdo Duni, who was born in Matera in 1708. Considered the cultural centre of Matera, it houses a modern auditorium with seating for 450 and is a lively venue throughout the year. While seated in one of the bars or restaurants around Piazza Sedile, one can often hear the strains of music from the classrooms. The bread from Matera, crisp on the outside, feather-light and white on the inside, is one of its specialities and is available everywhere you go. 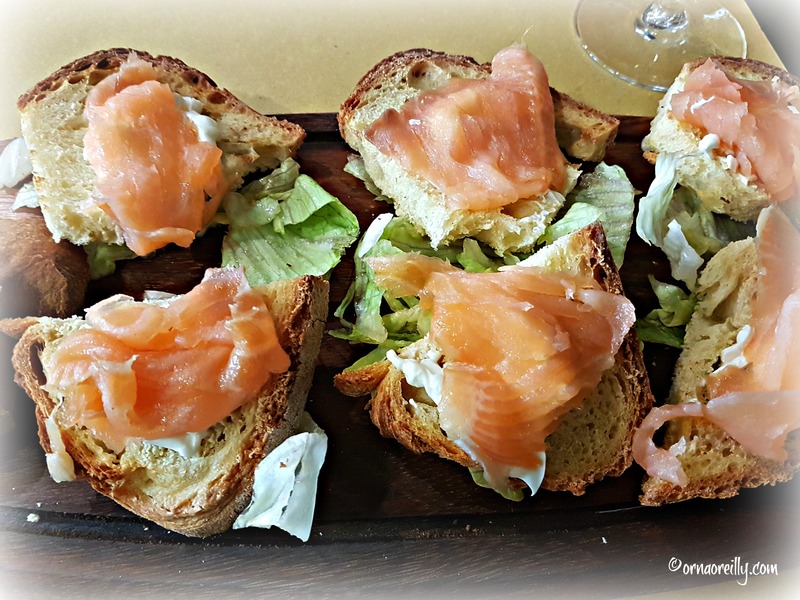 With that fact in mind, I would recommend a very nice casual eatery called Hemingway’s Bistrot, where Matera bread, topped with smoked salmon or prosciutto cotta, accompanied by a glass of the local Moscato Secco was a treat indeed. A perfect venue for a relaxed lunch. 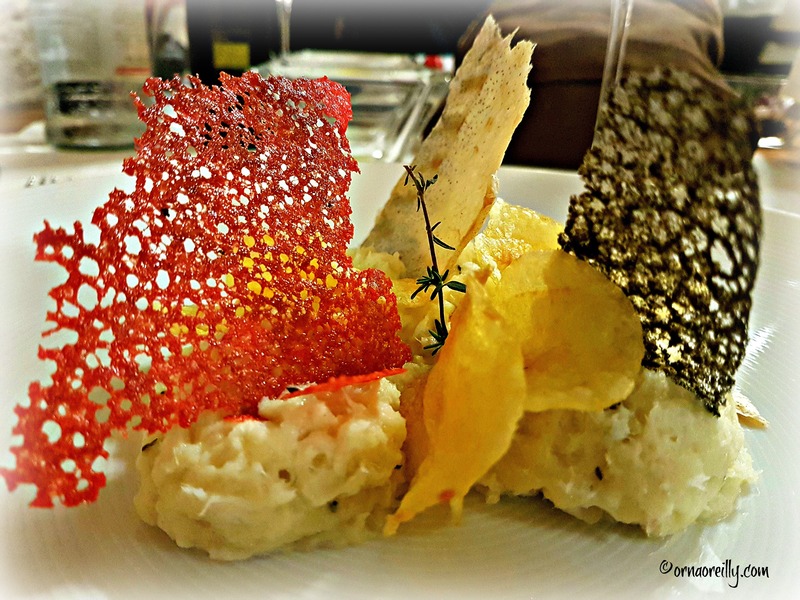 For dinner, I would highly recommend the excellent Ristorante Baccanti, which is situated deep in Sassi Caveoso. This was easily the best evening meal we tasted during our recent visit. We stayed in Hotel Il Palazzotto directly below the Duomo in Sasso Barisano. We were very happy with the accommodation and breakfast provided. 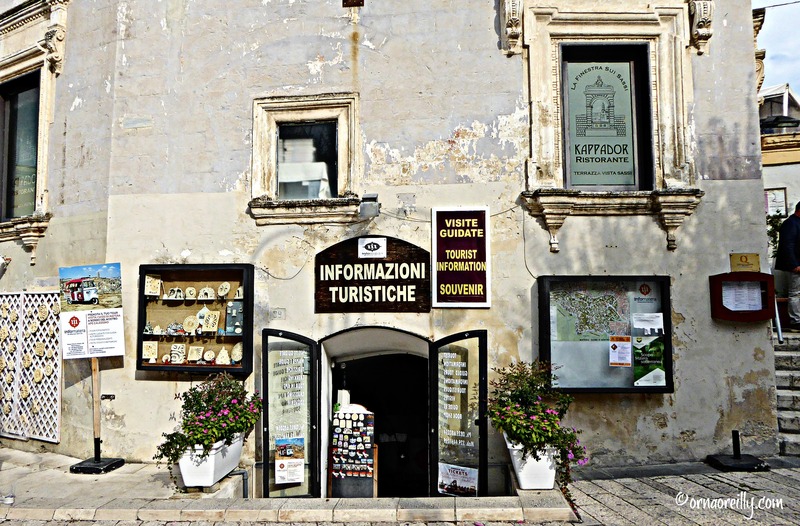 The tourist office in Matera, situated in Piazza Vittorio Veneto (tel: +39 0835 680254) is full of helpful maps and information to help you to find your way around this highly unusual and beautiful city. 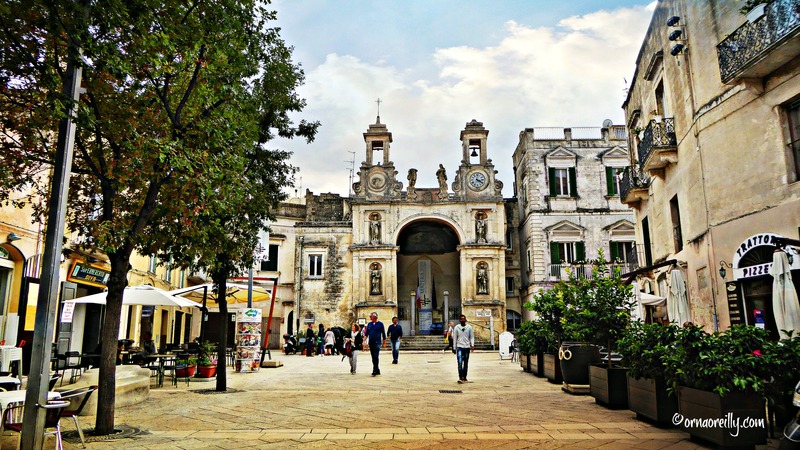 How to get there: fly into Bari from Dublin or into Brindisi via London. Thank you Janet. 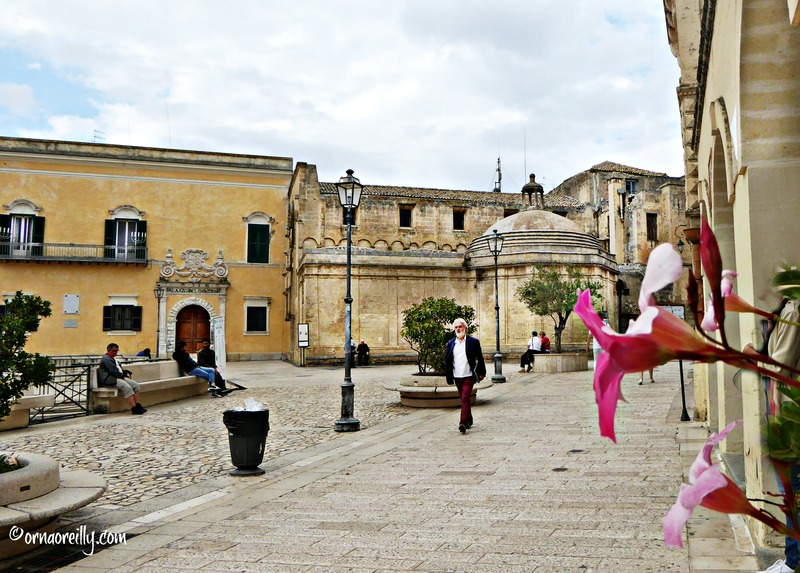 As you know, this is my second post on Matera. There are many similarities, but I wanted to add detail to the churches and palaces to assist those who want to visit. It’s a surreally beautiful city and I am sure that being European Capital of Culture next year will bring everyone flocking there. It should really be on the bucket list of every adventurous traveller. I’m glad you enjoyed it!